Lease a Chrysler in Detroit, MI | Ray Laethem Chrysler Dodge Jeep Ram " "
Embrace a lifestyle of luxury with a new car lease from Ray Laethem Chrysler Dodge Jeep Ram of Detroit, Michigan. Leasing a vehicle comes with advantages over an auto loan that may be right for some customers. The option to purchase at lease term end, coupled with lower upfront and monthly costs, make an auto lease an attractive option if you're unsure about purchasing a vehicle outright. Drop by Ray Laethem Chrysler Dodge Jeep Ram in Detroit, MI, where our Chrysler vehicle experts are ready to discuss your car lease options. Come to Ray Laethem Chrysler Dodge Jeep Ram for your next car lease, where our wide selection of Chrysler vehicles provides you with many options. Featuring a blend of performance and fuel efficiency, the Chrysler 300 is an upgrade for anyone looking for a new midsize car that turns heads and presents a smooth commute. Friends and family will enjoy the ample space and entertainment options available with the Chrysler Pacifica. 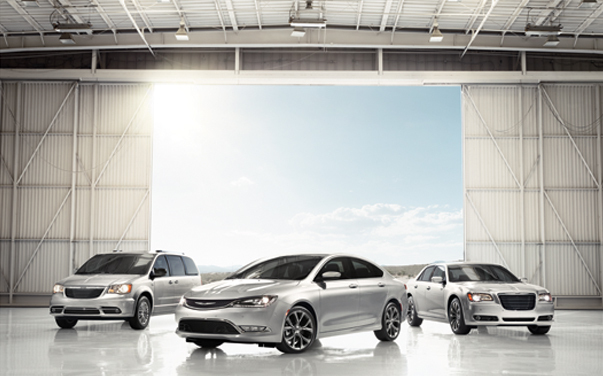 Find the Chrysler vehicle that's right for you by visiting our Detroit, MI dealership today for a test drive! When it comes to finding an auto lease or loan that works for your budget, the experts here at Ray Laethem Chrysler Dodge Jeep Ram are ready to help. Give our Detroit, MI dealership a call and speak to one of our representatives today to find the vehicle of your dreams!